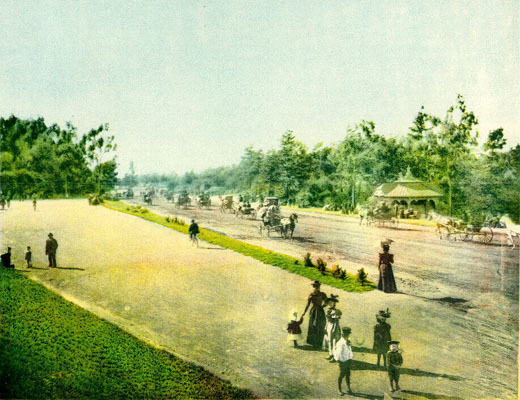 ← common sense standards for a historic park? Carolyn Adams loves her job! She works at the plant nursery in Golden Gate Park, overseeing the propagation and nurture of more than 800 species of plants that are used to fill in the blanks in parks throughout the city. The place is like a candy shop for city gardeners, with the delectable choices arranged in neat rows and box formations showing off the different flavors. Something for every taste: exotic, familiar, tall, spreading, spicy or bland. 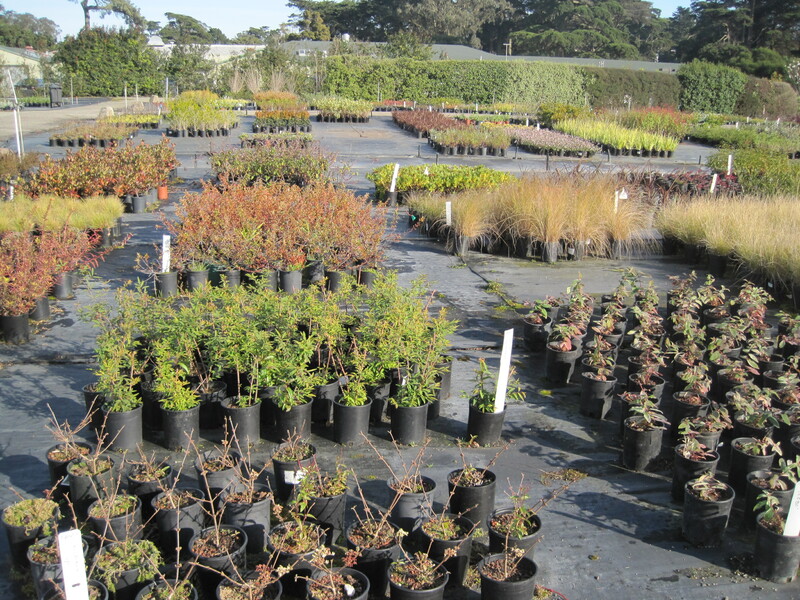 golden gate park nursery: pick your flavor! 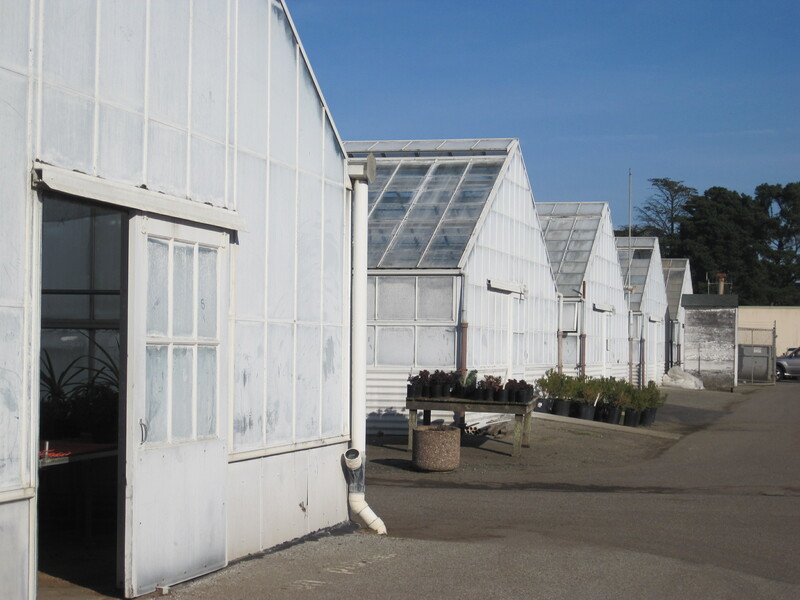 The plants are started from seed or vegetative cuttings, which Carolyn gathers on hunting expeditions in Golden Gate Park. Then seedlings sprout in flats in one of the greenhouses. Once rooted, they are transferred to rose pots or tree tubes (long, narrow tubes that afford room for tree roots to grow). Then hardened off in a cold frame and finally transferred to one-gallon pots. City gardeners can come and browse among the orderly pots, or pre-order what they want and the order will be assembled on a palette for pick up. Carolyn updates the plant inventory weekly; between 1200-3000 plants go out every week! 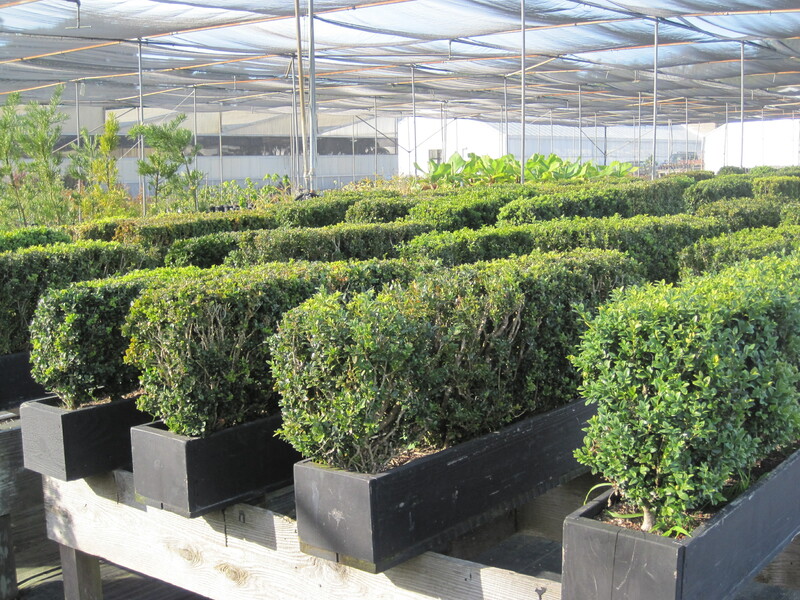 The nursery also supplies potted azaleas for the desks of supervisors in City Hall and flower arrangements for special city events (hundreds of poinsettias for the holiday season!). There are potted trees (some 30 years old!) and boxed hedges that are trucked out to adorn the stages at special events, such as Opera in the Park or Hardly Strictly Bluegrass. A huge, on-site compost pile supplies the basic material for the potting medium used to grow the plants, mixed with sand, peat and pearlite in different formulas depending on requirements of various plants. How satisfying it must be to watch the plants germinate and grow, and then to see the results in parks and public open spaces throughout the city! Carolyn has been in this job for about five years; before that she worked at Heron’s Head Park in India Basin, clearing out tons of debris and weeds to make way for the habitat restoration that is now such a success there. A different kind of project but also pretty satisfying, and a great public service. Thank you Carolyn! This entry was posted in people, plants. Bookmark the permalink. Good for Carolyn, working in a field she loves, and good for you, writing up this neat story. Thanks. Thanks Heath, I didn’t realize I would be mentioned.. beautiful writing. Good luck on your future book and continued blogs.. I will be reading. I am really enjoying this blog. How neat to visit the many nooks and crannies of GG Park. Lucky you!